Ideate, Inc. a renowned Autodesk authorized developer as well as Autodesk gold value added reseller, just unveiled Ideate BIMLink 2015.1 and Ideate BIMLink 2014.4. which contain some advanced features to be applied with Revit 2015 and 2014 correspondingly. Ideate Software comprises of a set of far-reaching building information modeling (BIM) data management tools facilitating the Revit users to clean up models, remove problem items, evaluate files rapidly, enhance speed and correctness in data flow, augment collaboration and find solutions for recurring workflow disruptions. With these latest products from Ideate, the BIM and virtual design and construction (VDC) managers, project leaders, facility managers and other users will be able to avail, study, take out and edit BIM data instantly and precisely. Users will get the ability to obtain numerous informations out of a Revit file and transmit them to Microsoft Excel and round-trip the data smoothly. 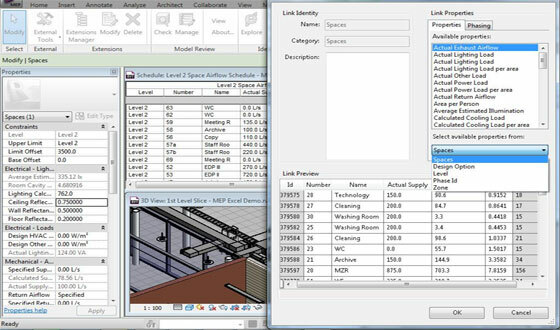 The two most vital features are more values in Automation and expanding Revit capabilities by making the model as the core state-of-the-art single point of truth for all schedule-linked information and maneuvering data in ways that is very difficult to perform inside Revit. Ideate BIMLink contains five star rating on the Autodesk Exchange Apps Store, and is accessible with a non-commercial free trial.